I have been itching to do a post like this for ages, but it has taken me this long to get our bedroom to near enough how I like it. I am planning to do a few more of these posts as I get a bit more confident. 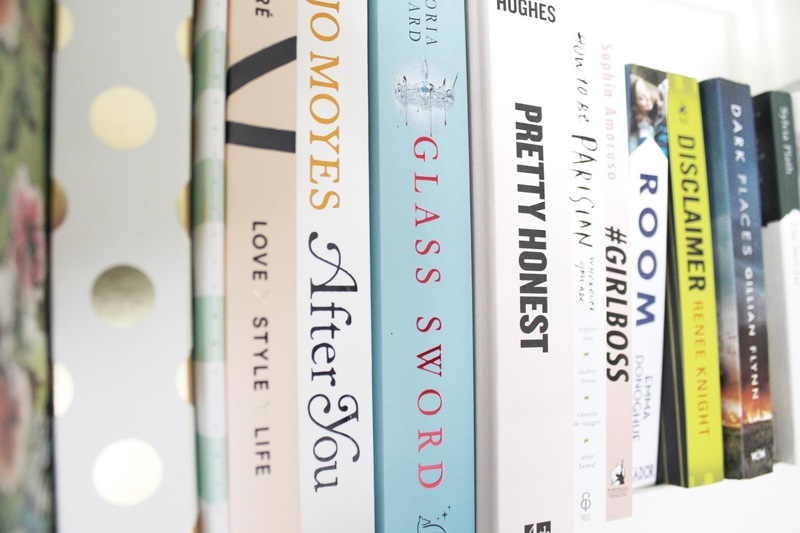 Basically a blog tour of my house, how does that sound? Just a forewarning; this post is going to be quite picture heavy. So, I will start off with the most important part of the room, the bed. I love my bed. I bought this bedspread for an absolute steal at Ikea. It was just £13 and came with 4 pillowcases, yes, you read that right! 4 pillowcases is pretty much unheard of. 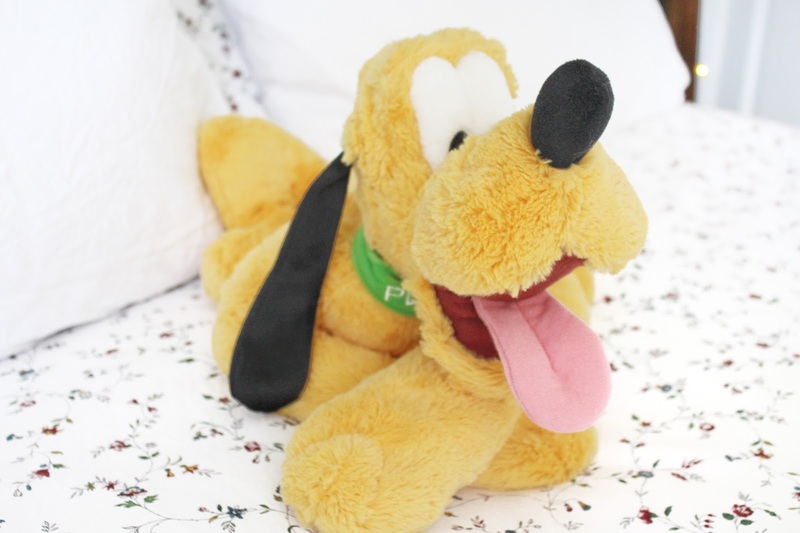 Guarding the bed is my Pluto plush I got from Disney World last year. And of course there are fairy lights in the background. 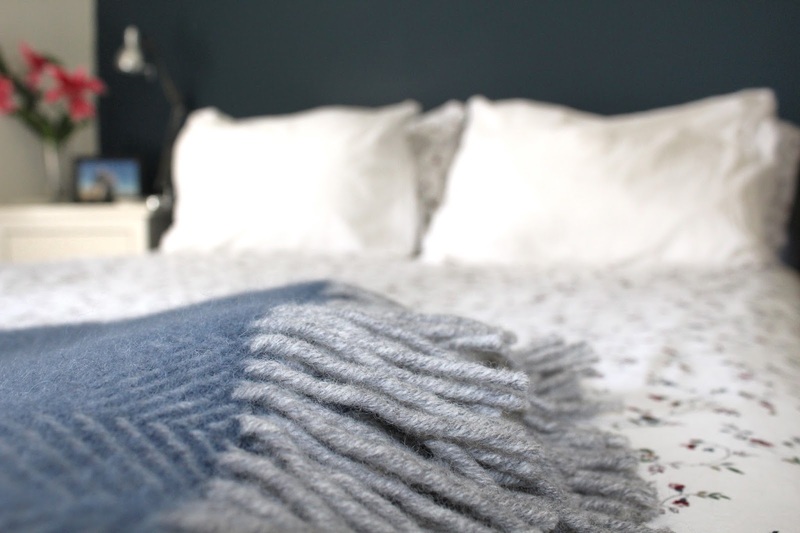 This throw is pure wool and from The National Trust. It is so comfy and warm for all those chillier Spring nights which we seem to be getting a lot of in the UK at the minute. The blue goes perfectly with the small blue flowers on the bedspread and our Farrow & Ball feature wall in Hague Blue. I bought this light from Sainsbury's about 3 years ago. 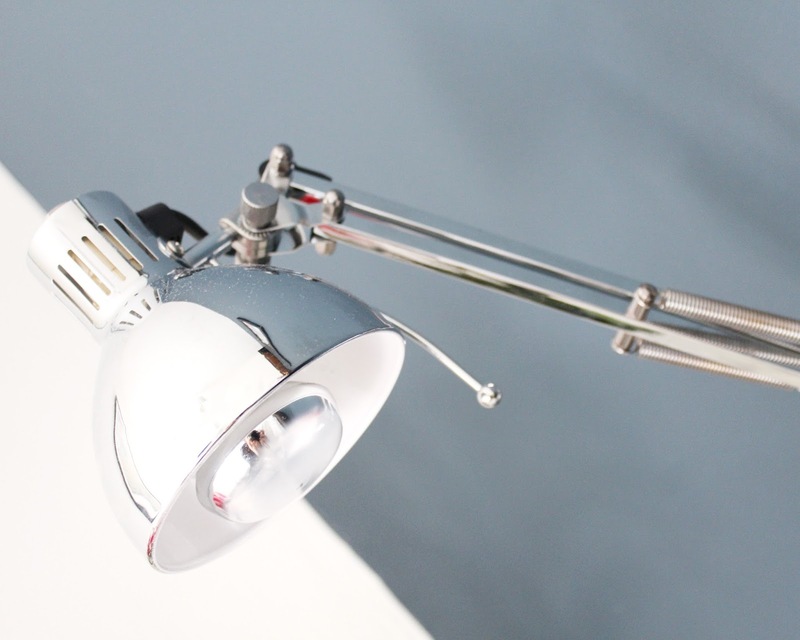 It's the perfect reading light as it can be angled any which way. It is so versatile too, it pretty much goes in every room. On the walls is this picture which was taken as part of Memory Maker from my most recent Disney World trip. I paid the little bit extra and got it framed too. 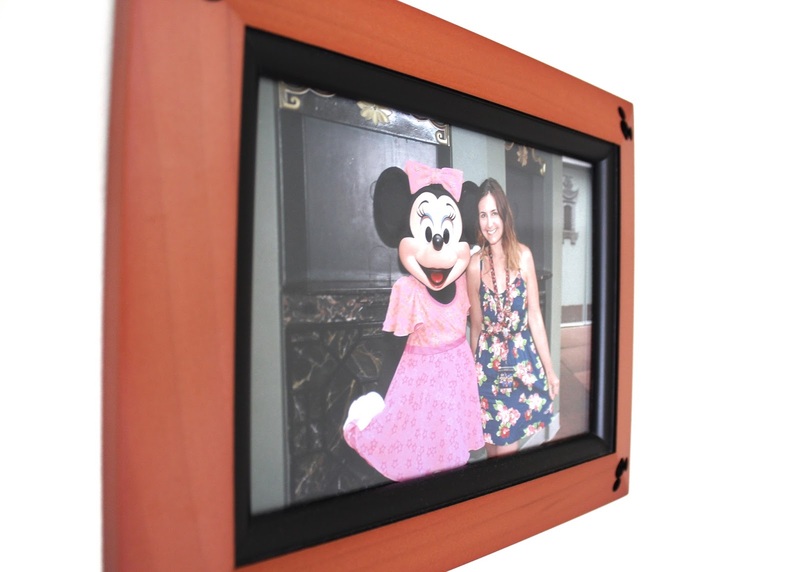 It is so subtly Disney, and perfect for my not so Disney boyfriend. Plus I really struggle to find frames. Well, that's not entirely true. I will buy a print with all the intentions in the world to find a frame for it, but then I either; don't measure it, forget the measurements, or just don't bother altogether. Lazy. I have two Disney coasters now, one for each side of the bed. 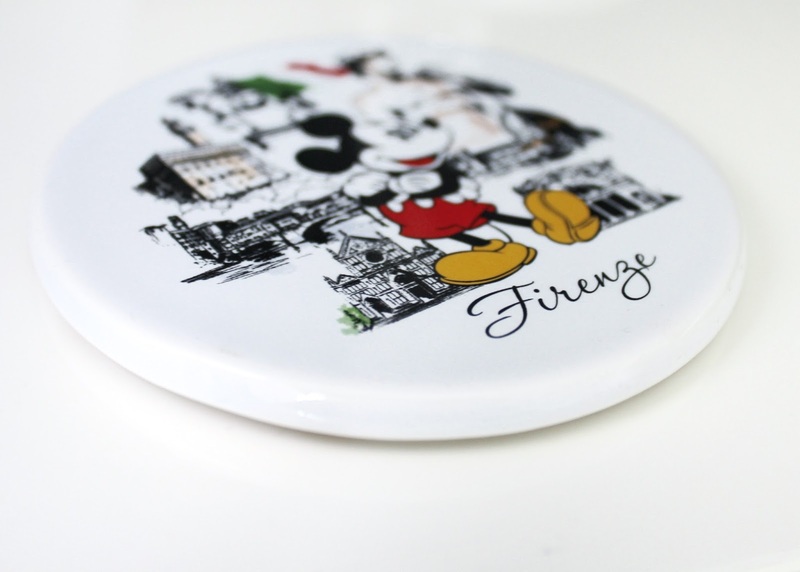 This one was obviously from Florence, Italy, and the other I picked up in London. I have a bit of a tradition now where I try and pick up a Disney mug, or coaster, from any country that I visit. Obviously only having the two means it's not going so well! I love this little shelf of books. The shelf itself I think used to be some sort of window.. You get all these quirky things when you live in a really old house like I do. It kind of works anyway. It is also deep enough to fit my organisers and diaries on. 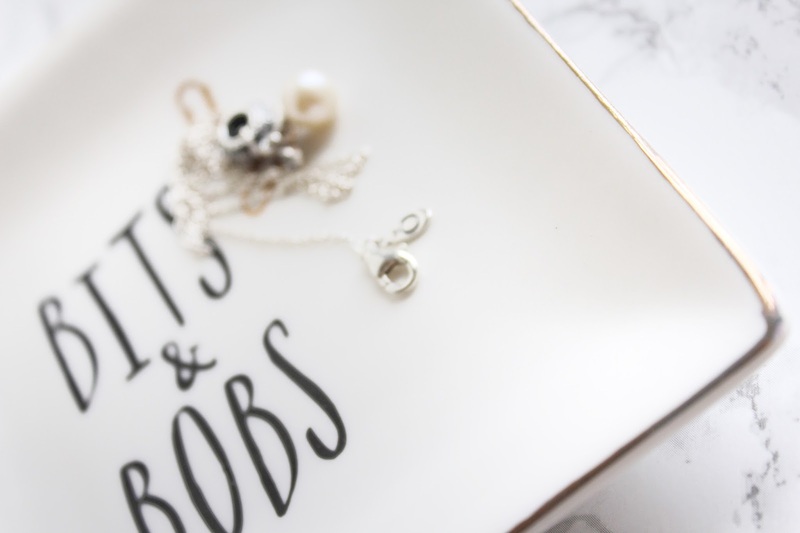 I picked up this little dish on our trip to the Lake District from a gorgeous little shop called Poppi Red. As far as I am aware they have a branch in Bowness and Hawkeshead. It is perfect for bedside trinket storage. I don't know about you but I hate going to sleep with jewellery on. If you are ever in the Lakes, you must pop in. And finally the bedside essentials. 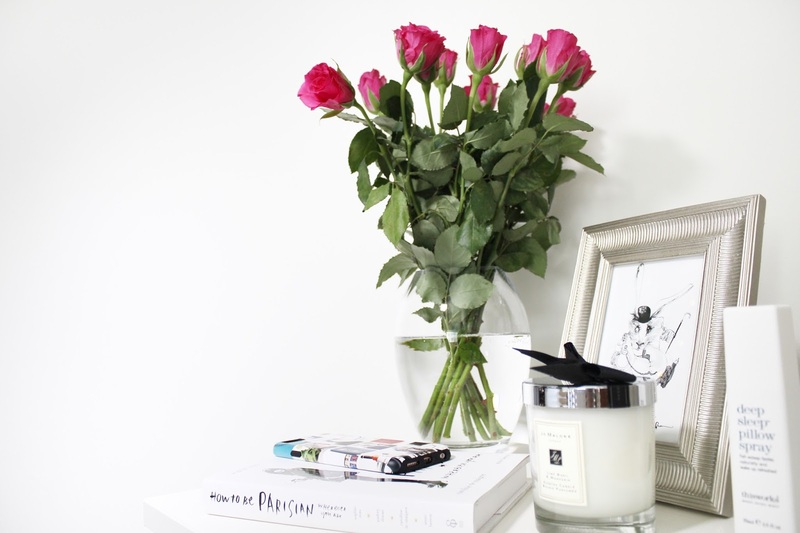 I want to do a whole different post on this topic so I won't go into too much detail, other than I love fresh flowers in all the rooms, candles and cute little nicknacks. A bed time essential of mine is ThisWorks Deep Sleep Pillow Spray. I am not sure it improves the quality of my sleep but the scent is so lovely and reassuring, it definitely puts me in the mood to catch some Zzz's.